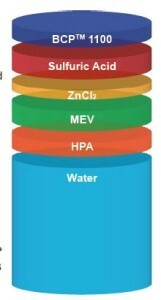 AMSA BCP™ chemistry brings numerous benefits to industrial water cooling systems. 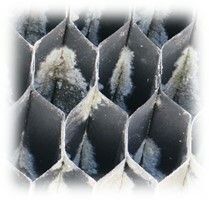 These issues cause numerous operational problems in process and comfort cooling water systems. 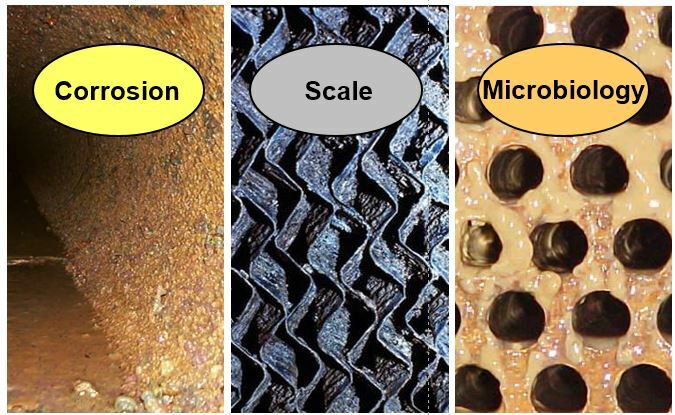 Biofilm control is at the core of many heat transfer and corrosion solutions (more). BCP™ products, which disperse biological deposits and clean surfaces, transform standard water treatment programs into Biofilm Control Programs (BCP™). Learn more about how BCP chemistry fits into a Legionella Control Program . . .
AMSA BCP™ chemistry penetrates organic deposits and releases them from surfaces with a clean-up dosage regimen. 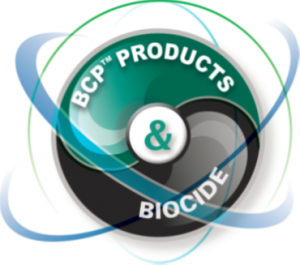 When applied in a coordinated manner with biocides, BCP™ products provide water treatment professionals with a highly effective Biofilm Control Program. BCP products penetrate deposits and biofilm which allow biocides to travel deeper into the biofilm and have greater contact with the bacteria. BCP products disperse biofilm into the bulk water which allow biocides increased contact with dispersed bacteria and work more effectively. BCP™ 1100 can be added to standard corrosion and scale formulations to bring the cleaning power of BCP™ 1000 series chemistry to your total water treatment program. 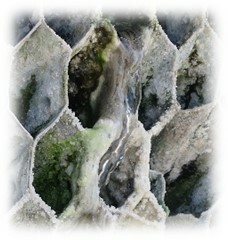 Dosed in a continuous, or semi-continuous manner helps keep surfaces clean and prevent scale deposition and corrosion. See our Biofilm Control Videos for more information on how AMSA BCP™ products address water treatment issues. 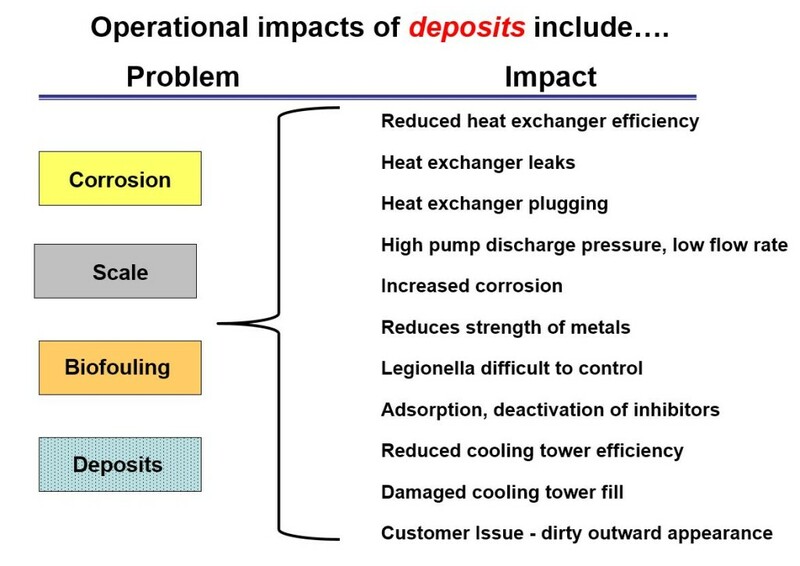 New Patent: Use of BCP™ 5000 for Sulfur Deposit Control in Geothermal Power Plant Cooling Water. Antimicrobial Specialists & Associates, Inc.